This entry was posted in UHS MCAT and tagged Best way to prepare for UHS MCAT, chemistry mcat, chemistry mdcat, colleges affiliated with UHS, Dental Entry Test UHS, download UHS MCAT Papers, download UHS MDCAT Papers, Download UHS Past Papers, How to Prepare for Punjab MCAT, How to Prepare for Punjab MDCAT, How to Prepare for UHS MCAT?, how to prepare mcat, how to prepare mdcat, How to prepare Punjab Mcat UHS, How to prepare PUNJAB UHS Mcat, Important Biology Topics Punjab MCAT, Important Biology Topics Punjab MDCAT, Important Chemistry Topics Punjab MCAT, Important Chemistry Topics Punjab MDCAT, Important Chemistry Topics UHS MCAT, Important English Topics Punjab MCAT, Important English Topics Punjab MDCAT, important mcat topics, important mdcat topics, Important Physics Topics Punjab MCAT, Important Physics Topics Punjab MDCAT, MCAT, MCAT English syllabus, MCAT English syllabus 2017, MCAT entry test, mcat format, mcat mcqs, MCAT Merit list, MCAT New Syllabus, mcat result, mcat score, MDCAT, MDCAT 2017, MDCAT Biology, MDCAT Biology explained MCQs, MDCAT Biology MCQs, MDCAT Chemistry, MDCAT Chemistry explained MCQs, MDCAT Chemistry MCQs, MDCAT English explained MCQs, MDCAT English MCQs, MDCAT English syllabus, MDCAT entry test, MDCAT explained MCQs, mdcat format, mdcat mcqs, MDCAT Merit list, MDCAT New Syllabus, MDCAT online MCQS, MDCAT Physics, MDCAT Physics explained MCQs, MDCAT PhysicsMCQs, mdcat result, mdcat score, MDCAT solved MCQs, MDCAT solved papers, MDCAT syllabus, MDCAT syllabus 2017, New Physics Syllabus for UHS MCAT, New UHS MCAT Syllabus, Past Papers UHS MCAT, Past Papers UHS MDCAT, Preparation of Document for UHS MCAT, programs offered by affiliated colleges, Punjab MCAT Biology MCQs, Punjab MCAT Chemistry MCQs, Punjab MCAT English MCQs, Punjab MCAT Physics MCQs, Punjab MDCAT Biology MCQs, Punjab MDCAT Chemistry MCQs, Punjab MDCAT English MCQs, Punjab MDCAT Physics MCQs, Punjab Medical Admission UHS, Punjab UHS MCAT, Punjab UHS MCAT Syllabus, Punjab UHS Medical Test, Sample UHS MCAT MCQs, solved UHS MCAT MCQs, Solved UHS MCAT past papers, UHS, UHS Admission, UHS Admissions, UHS AFFILIATED COLLEGES, UHS affiliated colleges programs, UHS Biology MCQs, UHS Chemistry MCQs, UHS Chemistry New Syllabus, UHS English MCQs, UHS English Syllabus, UHS English Syllabus 2017, UHS Entry Test, UHS Fee, UHS MCAT, UHS MCAT 2013, UHS MCAT 2014, UHS MCAT 2015, UHS MCAT 2016, UHS MCAT 2017, UHS MCAT Aggregate Score, UHS MCAT Biology MCQs, UHS MCAT Dates, UHS MCAT English MCQs, UHS MCAT Entrance Test, UHS mcat merit list, UHS MDCAT, UHS MDCAT 2017, UHS MDCAT Aggregate Score, UHS MDCAT Biology MCQs, UHS MDCAT Dates, UHS MDCAT English MCQs, UHS MDCAT Entrance Test, UHS Merit list 2016, UHS Past Papers, UHS result, UHS result 2016, UHS Syllabus, UHS Test format, UHS test result on December 11, 2018 by Pakprep.com Admin. List of Candidates Upgraded on Open Merit Seats for MBBS Admissions. University of Health and Sciences (UHS) announced merit list of students upgraded on open merit seats for 2018-19 session. UHS is responsible for MBBS and BDS Admissions in Public sector and Private sector medical colleges of Punjab. MDCAT test will consist of 220 MCQ’s from Biology, Physics, Chemistry, Physics and English. This entry was posted in UHS MCAT and tagged Akhtar Saeed Medical College Lahore merit list, Al-Aleem Medical College Lahore merit list, Ameer ud Din Medical College merit list, Amna Inayat Medical College Sheikhupura merit list, Avicenna Medical College Lahore merit list, Aziz Fatima Medical & Dental College Faisalabad merit list, Azra Naheed Medical College Lahore merit list, Bakhtawar Amin Medical & Dental College Multan merit list, Best way to prepare for UHS MCAT, Central Park Medical College Lahore merit list, chemistry mcat, chemistry mdcat, D.G. Khan Medical College merit list, Dental Entry Test UHS, Dental Section Akhtar Saeed Medical & Dental College Lahore merit list, Dental Section Bakhtawar Amin Medical & Dental College Multan merit list, Dental Section FMH College of Medicine & Dentistry Lahore merit list, Dental Section Lahore Medical & Dental College Lahore merit list, Dental Section Multan Medical & Dental College Multan merit list, Dental Section Sharif Medical & Dental College Lahore merit list, Dental Section University College of Medicine & Dentistry Lahore merit list, Dental Section University Medical & Dental College Faisalabad merit list, download UHS MCAT Papers, download UHS MDCAT Papers, Download UHS Past Papers, Faisalabad Medical University merit list, Faryal Dental College Sheikhupura merit list, FMH College of Medicine & Dentistry Lahore merit list, Gujranwala Medical College merit list, How to Prepare for Punjab MCAT, How to Prepare for Punjab MDCAT, How to Prepare for UHS MCAT?, how to prepare mcat, how to prepare mdcat, How to prepare Punjab Mcat UHS, How to prepare PUNJAB UHS Mcat, Important Biology Topics Punjab MCAT, Important Biology Topics Punjab MDCAT, Important Chemistry Topics Punjab MCAT, Important Chemistry Topics Punjab MDCAT, Important Chemistry Topics UHS MCAT, Important English Topics Punjab MCAT, Important English Topics Punjab MDCAT, important mcat topics, important mdcat topics, Important Physics Topics Punjab MCAT, Important Physics Topics Punjab MDCAT, Independent Medical College Faisalabad merit list, Islam Dental College Sialkot merit list, Islam Medical College Sialkot merit list, Islamic International Medical College Rawalpindi merit list, Khawaja Muhammad Safdar Medical College merit list, Lahore Medical & Dental College Lahore merit list, M.Islam Medical College Gujranwala merit list, Margalla Institute of Health Sciences Rawalpindi merit list, MCAT, MCAT English syllabus, MCAT English syllabus 2017, MCAT entry test, mcat format, mcat mcqs, MCAT Merit list, MCAT New Syllabus, mcat result, mcat score, MDCAT, MDCAT 2017, MDCAT Biology, MDCAT Biology explained MCQs, MDCAT Biology MCQs, MDCAT Chemistry, MDCAT Chemistry explained MCQs, MDCAT Chemistry MCQs, MDCAT English explained MCQs, MDCAT English MCQs, MDCAT English syllabus, MDCAT entry test, MDCAT explained MCQs, mdcat format, mdcat mcqs, MDCAT Merit list, MDCAT New Syllabus, MDCAT online MCQS, MDCAT Physics, MDCAT Physics explained MCQs, MDCAT PhysicsMCQs, mdcat result, mdcat score, MDCAT solved MCQs, MDCAT solved papers, MDCAT syllabus, MDCAT syllabus 2017, Multan Medical & Dental College Multan merit list, Nawaz Sharif Medical College merit list, New Physics Syllabus for UHS MCAT, New UHS MCAT Syllabus, Nishtar Medical University merit list, Past Papers UHS MCAT, Past Papers UHS MDCAT, Preparation of Document for UHS MCAT, Punjab MCAT Biology MCQs, Punjab MCAT Chemistry MCQs, Punjab MCAT English MCQs, punjab mcat merit list, Punjab MCAT Physics MCQs, Punjab MDCAT Biology MCQs, Punjab MDCAT Chemistry MCQs, Punjab MDCAT English MCQs, Punjab MDCAT Physics MCQs, Punjab Medical Admission UHS, Punjab private sector merit list, Punjab UHS MCAT, Punjab UHS MCAT Syllabus, Punjab UHS Medical Test, Quaid-e-Azam Medical College merit list, Rahbar Medical & Dental College Lahore merit list, Rai Medical College Sargodha merit list, Rashid Latif Medical College Lahore merit list, Rawalpindi Medical University merit list, Sahara Medical College Narowal merit list, Sahiwal Medical College merit list, Sample UHS MCAT MCQs, Sargodha Medical College merit list, Shahida Islam Medical College Lodhran merit list, Shalamar Medical & Dental College Lahore merit list, Sharif Medical &Dental College Lahore merit list, Sheikh Zayed medical college merit list, Sialkot Medical College Sialkot merit list, solved UHS MCAT MCQs, Solved UHS MCAT past papers, UHS, UHS Admission, UHS Admissions, UHS Biology MCQs, UHS Chemistry MCQs, UHS Chemistry New Syllabus, UHS English MCQs, UHS English Syllabus, UHS English Syllabus 2017, UHS Entry Test, UHS Fee, UHS highest lowest merit list, UHS MCAT, UHS MCAT 2013, UHS MCAT 2014, UHS MCAT 2015, UHS MCAT 2016, UHS MCAT 2017, UHS MCAT Aggregate Score, UHS MCAT Biology MCQs, UHS MCAT Dates, UHS MCAT English MCQs, UHS MCAT Entrance Test, UHS mcat merit list, UHS MDCAT, UHS MDCAT 2017, UHS MDCAT Aggregate Score, UHS MDCAT Biology MCQs, UHS MDCAT Dates, UHS MDCAT English MCQs, UHS MDCAT Entrance Test, UHS Merit list 2016, UHS merit list 2018, UHS Past Papers, UHS result, UHS result 2016, UHS Syllabus, UHS Test format, UHS test result, University College of Medicine & Dentistry Lahore merit list, University Medical & Dental College University of Faisalabad merit list, Watim Dental College Rawalpindi merit list on November 28, 2018 by Pakprep.com Admin. UHS has announced highest and lowest merit list for medical/dental institutes of Punjab. As expected merit in private sector is also very high similar as last year. Thousands of students applied this year for UHS MCAT but very few are able to secure admission in public and private sector. This year UHS MCAT entry test was tougher as compared to last year. Only those students are selected who were committed and studied hard throughout their educational carrier. 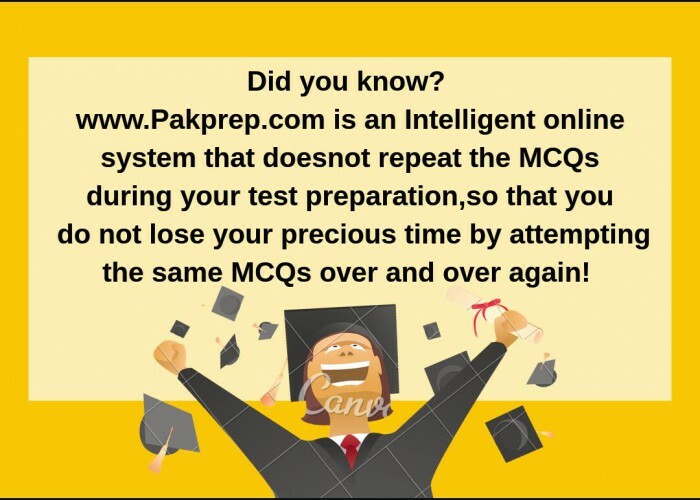 Pakprep.com is the one and only online portal where you can get more than 15000 solved MCQ’s along with explanations. 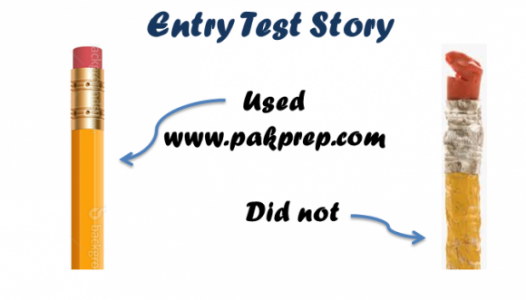 Pakprep.com is the best online entry test preparation website, where you can get past papers and MOCK tests. MOCK test helps our students to analyze their current situation in a better way which give competitive edge over other students. Smart analytics will keep record of all your test according to subjects and topics. To start your preparation for any medical entry test please CLICK HERE. This entry was posted in UHS MCAT and tagged Akhtar Saeed Medical College Lahore merit list, Al-Aleem Medical College Lahore merit list, Amna Inayat Medical College Sheikhupura merit list, Avicenna Medical College Lahore merit list, Aziz Fatima Medical & Dental College Faisalabad merit list, Azra Naheed Medical College Lahore merit list, Bakhtawar Amin Medical & Dental College Multan merit list, Best way to prepare for UHS MCAT, Central Park Medical College Lahore merit list, chemistry mcat, chemistry mdcat, Dental Entry Test UHS, Dental Section Akhtar Saeed Medical & Dental College Lahore merit list, Dental Section Bakhtawar Amin Medical & Dental College Multan merit list, Dental Section FMH College of Medicine & Dentistry Lahore merit list, Dental Section Lahore Medical & Dental College Lahore merit list, Dental Section Multan Medical & Dental College Multan merit list, Dental Section Sharif Medical & Dental College Lahore merit list, Dental Section University College of Medicine & Dentistry Lahore merit list, Dental Section University Medical & Dental College Faisalabad merit list, download UHS MCAT Papers, download UHS MDCAT Papers, Download UHS Past Papers, Faryal Dental College Sheikhupura merit list, FMH College of Medicine & Dentistry Lahore merit list, How to Prepare for Punjab MCAT, How to Prepare for Punjab MDCAT, How to Prepare for UHS MCAT?, how to prepare mcat, how to prepare mdcat, How to prepare Punjab Mcat UHS, How to prepare PUNJAB UHS Mcat, Important Biology Topics Punjab MCAT, Important Biology Topics Punjab MDCAT, Important Chemistry Topics Punjab MCAT, Important Chemistry Topics Punjab MDCAT, Important Chemistry Topics UHS MCAT, Important English Topics Punjab MCAT, Important English Topics Punjab MDCAT, important mcat topics, important mdcat topics, Important Physics Topics Punjab MCAT, Important Physics Topics Punjab MDCAT, Independent Medical College Faisalabad merit list, Islam Dental College Sialkot merit list, Islam Medical College Sialkot merit list, Islamic International Medical College Rawalpindi merit list, Lahore Medical & Dental College Lahore merit list, M.Islam Medical College Gujranwala merit list, Margalla Institute of Health Sciences Rawalpindi merit list, MCAT, MCAT English syllabus, MCAT English syllabus 2017, MCAT entry test, mcat format, mcat mcqs, MCAT Merit list, MCAT New Syllabus, mcat result, mcat score, MDCAT, MDCAT 2017, MDCAT Biology, MDCAT Biology explained MCQs, MDCAT Biology MCQs, MDCAT Chemistry, MDCAT Chemistry explained MCQs, MDCAT Chemistry MCQs, MDCAT English explained MCQs, MDCAT English MCQs, MDCAT English syllabus, MDCAT entry test, MDCAT explained MCQs, mdcat format, mdcat mcqs, MDCAT Merit list, MDCAT New Syllabus, MDCAT online MCQS, MDCAT Physics, MDCAT Physics explained MCQs, MDCAT PhysicsMCQs, mdcat result, mdcat score, MDCAT solved MCQs, MDCAT solved papers, MDCAT syllabus, MDCAT syllabus 2017, Multan Medical & Dental College Multan merit list, New Physics Syllabus for UHS MCAT, New UHS MCAT Syllabus, Past Papers UHS MCAT, Past Papers UHS MDCAT, Preparation of Document for UHS MCAT, Punjab MCAT Biology MCQs, Punjab MCAT Chemistry MCQs, Punjab MCAT English MCQs, punjab mcat merit list, Punjab MCAT Physics MCQs, Punjab MDCAT Biology MCQs, Punjab MDCAT Chemistry MCQs, Punjab MDCAT English MCQs, Punjab MDCAT Physics MCQs, Punjab Medical Admission UHS, Punjab private sector merit list, Punjab UHS MCAT, Punjab UHS MCAT Syllabus, Punjab UHS Medical Test, Rahbar Medical & Dental College Lahore merit list, Rai Medical College Sargodha merit list, Rashid Latif Medical College Lahore merit list, Sahara Medical College Narowal merit list, Sample UHS MCAT MCQs, Shahida Islam Medical College Lodhran merit list, Shalamar Medical & Dental College Lahore merit list, Sharif Medical &Dental College Lahore merit list, Sialkot Medical College Sialkot merit list, solved UHS MCAT MCQs, Solved UHS MCAT past papers, UHS, UHS Admission, UHS Admissions, UHS Biology MCQs, UHS Chemistry MCQs, UHS Chemistry New Syllabus, UHS English MCQs, UHS English Syllabus, UHS English Syllabus 2017, UHS Entry Test, UHS Fee, UHS highest lowest merit list, UHS MCAT, UHS MCAT 2013, UHS MCAT 2014, UHS MCAT 2015, UHS MCAT 2016, UHS MCAT 2017, UHS MCAT Aggregate Score, UHS MCAT Biology MCQs, UHS MCAT Dates, UHS MCAT English MCQs, UHS MCAT Entrance Test, UHS mcat merit list, UHS MDCAT, UHS MDCAT 2017, UHS MDCAT Aggregate Score, UHS MDCAT Biology MCQs, UHS MDCAT Dates, UHS MDCAT English MCQs, UHS MDCAT Entrance Test, UHS Merit list 2016, UHS merit list 2018, UHS Past Papers, UHS result, UHS result 2016, UHS Syllabus, UHS Test format, UHS test result, University College of Medicine & Dentistry Lahore merit list, University Medical & Dental College University of Faisalabad merit list, Watim Dental College Rawalpindi merit list on November 21, 2018 by Pakprep.com Admin. There is a kota system in the under developed districts of Punjab. 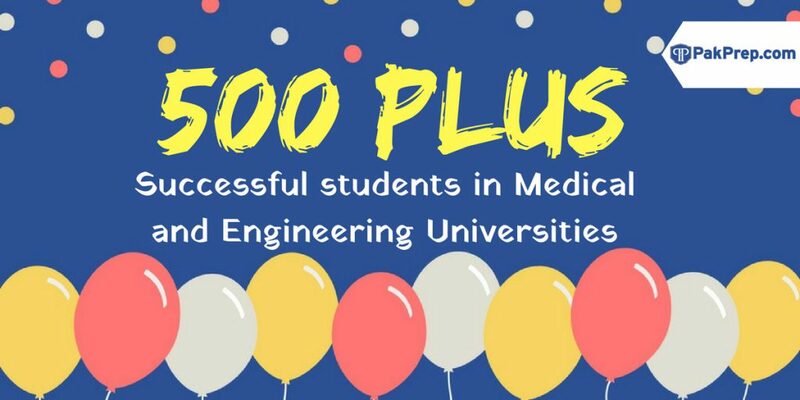 Only 10 candidates get selected each year for the public sector Medical Institutes of Punjab from the under developed district Layyah.Only those students get selected in these Institutes who have clear concepts. This entry was posted in UHS MCAT and tagged Best way to prepare for UHS MCAT, Changes in UHS MCAT Syllabus, download UHS MCAT Papers, How to Prepare for Punjab MCAT, How to Prepare for UHS MCAT?, How to prepare Punjab Mcat UHS, How to prepare PUNJAB UHS Mcat, Important Biology Topics Punjab MCAT, Important Chemistry Topics Punjab MCAT, Important Chemistry Topics UHS MCAT, Important English Topics Punjab MCAT, important mcat topics, Important Physics Topics Punjab MCAT, MCAT 2018, MCAT English syllabus 2018, mcat format, MCAT New Syllabus, MCAT registration date, Preparation of Document for UHS MCAT, punjab mcat, Punjab MCAT Biology MCQs, Punjab MCAT Chemistry MCQs, Punjab MCAT English MCQs, Punjab Mcat format, punjab mcat mcqs, punjab mcat merit list, Punjab MCAT Past Papers, Punjab MCAT Physics MCQs, Punjab MCAT Scholarships, Punjab MCAT Solved Papers, Punjab UHS MCAT Syllabus, Punjab under developed district Layyah merit list, Punjab under developed district Layyah merit list 2018, UHS, UHS MCAT Biology MCQs, UHS MCAT Chemistry MCQs, UHS MCAT Documents, UHS MCAT English MCQs, UHS MCAT Entrance Test, UHS mcat merit list, UHS MCAT Online Preparation, UHS MCAT Past Papers, UHS MCAT Preparation, UHS MCAT syllabus 2018, UHS Past Papers, Under developed district Layyah merit list, Under developed district Layyah merit list 2018 on November 16, 2018 by Pakprep.com Admin. There are 10 specific seats for the under developed district Muzaffargarh. Only 10 candidates are selected from Muzaffargarh for the public sector Medical Institutes of Punjab. Only those students get selected in these Medical Institutes who have clear concepts. Pakprep.com have all preparation material which helps students in clearing concepts in detail. We have over 15000+ MCQ’s with answers and explanation which will help students in clearing their concepts. To start your preparation Click here. This entry was posted in UHS MCAT and tagged Best way to prepare for UHS MCAT, Changes in UHS MCAT Syllabus, chemistry mcat, download UHS MCAT Papers, How to Prepare for Punjab MCAT, How to Prepare for UHS MCAT?, how to prepare mcat, How to prepare Punjab Mcat UHS, Important Biology Topics Punjab MCAT, Important Chemistry Topics Punjab MCAT, Important Chemistry Topics UHS MCAT, Important English Topics Punjab MCAT, important mcat topics, Important Physics Topics Punjab MCAT, Important Punjab Mcat topics, MCAT 2018, MCAT English syllabus 2018, mcat format, MCAT MBBS Admission 2018, mcat mcqs, MCAT Merit list, MCAT New Syllabus, New UHS MCAT Syllabus, punjab mcat, Punjab MCAT Biology MCQs, Punjab MCAT Chemistry MCQs, Punjab MCAT English MCQs, Punjab Mcat format, punjab mcat mcqs, punjab mcat merit list, Punjab MCAT Physics MCQs, Punjab MCAT Scholarships, Punjab MCAT Solved Papers, Punjab UHS MCAT, UHS MCAT 2018, UHS MCAT Aggregate Score, UHS MCAT Biology MCQs, UHS MCAT Chemistry MCQs, UHS MCAT Documents, UHS MCAT English MCQs, UHS MCAT Entrance Test, UHS mcat merit list, UHS MCAT Online Preparation, UHS MCAT Past Papers, UHS MCAT syllabus 2018, UHS Punjab MCAT Syllabus 2018 on November 15, 2018 by Pakprep.com Admin.